Tai Seng is located at Central Eastern Singapore, near Paya Lebar. An industrial area whose charm has developed remarkably since the arrival of MRT station in 2010. Nearest MRT is Tai Seng MRT Station. Latest projects within vicinity of Tai Seng include Jade Residences and Macpherson Mall, which are both freehold development. Tai Seng is well surrounded with several shopping centre such as Upper Serangoon Shopping Centre, NEX Mall, Heartland Mall and Joo Chiat Complex. 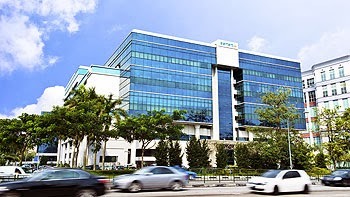 Educational intitution within vicinity of Tai Seng include Cedar Primary School, Eunos Primary School, Bendemeer Primary School, Bedok North Secondary School, First Toa Payoh Secondary School and more.